Compact, LoRaWAN specification 1.0.2 compliant, Class A, 868MHz, battery powered, automatic temperature monitor with �Automatic Alert� feature. Ideal for use in professional temperature-critical situations. 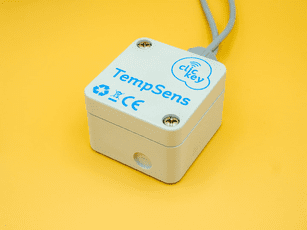 The CLICKEY Tempsens Pro records the temperature of objects, machines, lines, areas and refrigerators. The frequency of measurements can be flexible, as well as how often the collected data will be send to you. A certain maximum or minimum temperature is reached? 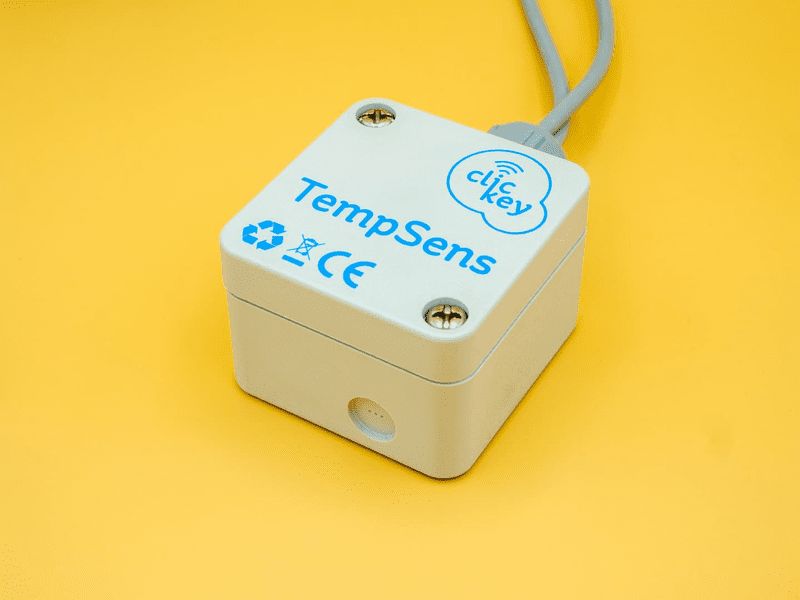 The Tempsens Pro gives an alarm at the right time. Ideal for professional environments where temperature is a critical process indicator.